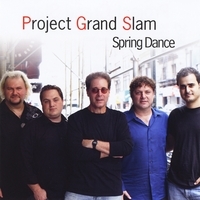 Project Grand Slam (PGS) was formed in 2007 by bassist/composer/leader Robert Miller. PGS's debut album, Play (Cakewalk Records 2008), was produced by the legendary Frank Filipetti (Grammy winner for Record of the Year for James Taylor's Hourglass CD) and featured the Top 20 radio hit “The Captain Of Her Heart” with internationally renowned guest vocalist Judie Tzuke. In addition, PGS and five of Robert's tunes from Play were featured in an episode of the hit NBC-TV series, “Lipstick Jungle”, starring Brooke Shields. Play received rave reviews and was nominated for seven Grammys. In Nov. 2011 PGS released our cover of the classic Hollies hit, “He Ain’t Heavy, He’s My Brother”. The song was dedicated by the band for the benefit of the victims of child abuse, relating to the Penn State University sexual abuse scandal. In July 2012 PGS released our second album, Spring Dance (Cakewalk Records 2012). The album featured five of Robert's new compositions, including the title track which was also was a Top 20 jazz radio hit, and the CD received rave reviews. Project Grand Slam Hits It out of the Park with "Play"
All About Jazz musician pages are maintained by musicians, publicists and trusted members like you. Interested? 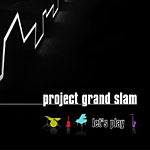 Tell us why you would like to improve the Project Grand Slam musician page.